Nothing is more important than sound quality when it comes to audio interfaces. And you shouldn’t have to sacrifice sound quality to have an affordable interface that you can take with you. 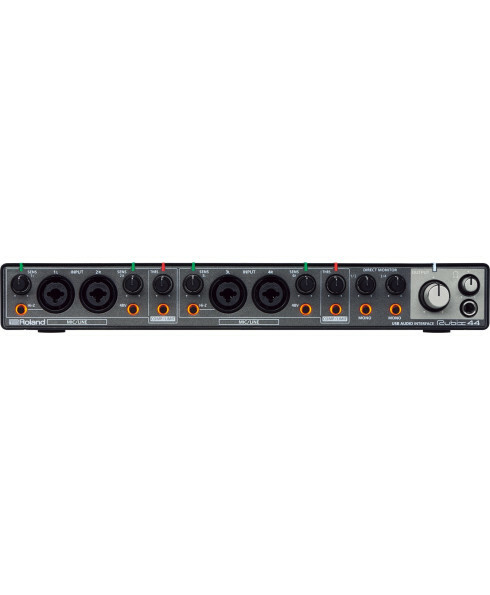 Rubix44 sounds clean and detailed with transparent, low noise mic preamps and supports audio resolutions up 24-bit/192kHz. It’s made of durable metal, and a lot went into its compact, low-noise design. With all the places Rubix44 can go, you’ll appreciate its extensive shielding and ground lifts, making sure you get good clean audio just about anywhere. 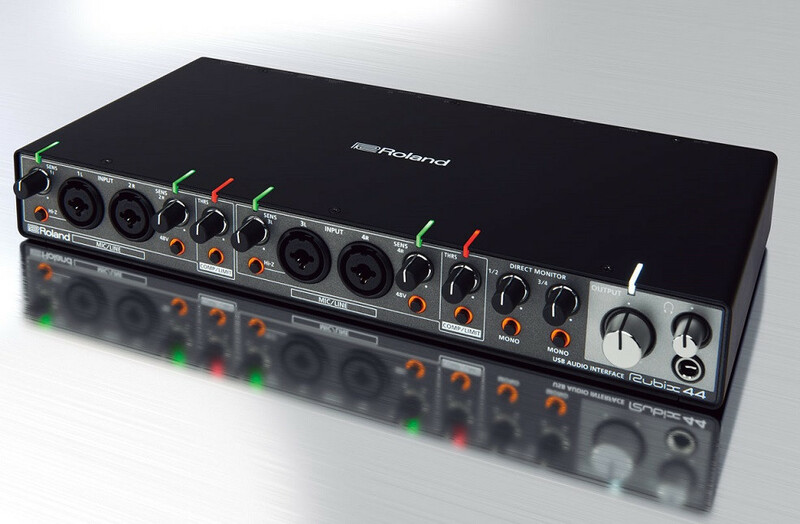 Rubix44’s four microphone preamps are designed for low noise and high definition. They sound clean and transparent with plenty of headroom for capturing all the impact and detail of whatever you’re recording. And the flexible combo jacks mean you can easily connect a wide variety of sources without the need for adapters or special cables. Four individual outputs mean you can create more sophisticated routing and monitoring setups. This is useful for sending a click track to a performer, setting up a stage monitor, or routing audio to external gear. Studios and stages can be dark places, and getting proper levels is critical. You want to focus on the performance, not on small, hard-to-see clip and level indicators from across the room. Rubix44 has highly visible indicators that are an integral part of its design. They clearly show if a channel has incoming signal, or if you’re going to overload, even from a distance.